Gordon McCannel Aamoth. Edelmiro (Ed) Abad. Maria Rose Abad. Andrew Anthony Abate. Vincent Abate. Laurence Christopher Abel. William F. Abrahamson. Richard Anthony Aceto. Erica Van Acker. Heinrich B. Ackermann. Paul Andrew Acquaviva. Christian Adams. Donald L. Adams. Patrick Adams. Shannon Lewis Adams. Stephen Adams. Ignatius Adanga. Christy A. Addamo. Terence E. Adderley. Sophia B. Addo. Lee Adler. Daniel Thomas Afflitto. Emmanuel Afuakwah. Alok Agarwal. Mukul Agarwala. Joseph Agnello. David Scott Agnes. Joao A.D. Aguiar. Lt. Brian G. Ahearn. Jeremiah J. Ahern. Joanne Ahladiotis. Shabbir Ahmed. Terrance Andre Aiken. Godwin Ajala. Gertrude M. Alagero. Andrew Alameno. Margaret Ann (Peggy) Jezycki Alario. Gary Albero. Jon L. Albert. Peter Craig Alderman. Jacquelyn Delaine Aldridge. Grace Alegre-Cua. David D. Alger. Ernest Alikakos. Edward L. Allegretto. Eric Allen. Joseph Ryan Allen. Richard Dennis Allen. Richard Lanard Allen. Christopher Edward Allingham. Anna Williams Allison. Janet M. Alonso. Anthony Alvarado. Antonio Javier Alvarez. Telmo Alvear. Cesar A. Alviar. Tariq Amanullah. Angelo Amaranto. James Amato. Joseph Amatuccio. Paul Ambrose. Christopher Charles Amoroso. Spc. Craig Amundson. Kazuhiro Anai. Calixto Anaya. Jorge Octavio Santos Anaya. Joseph Peter Anchundia. Kermit Charles Anderson. Yvette Anderson. John Andreacchio. Michael Rourke Andrews. Jean A. Andrucki. Siew-Nya Ang. Joseph Angelini. Joseph Angelini. David Angell. Lynn Angell. Laura Angilletta. Doreen J. Angrisani. Lorraine D. Antigua. Seima Aoyama. Peter Paul Apollo. Faustino Apostol. Frank Thomas Aquilino. Patrick Michael Aranyos. David Gregory Arce. Michael G. Arczynski. Louis Arena. Barbara Arestegui. Adam Arias. Michael J. Armstrong. Jack Charles Aron. Joshua Aron. Richard Avery Aronow. Myra Aronson. Japhet J. Aryee. Carl Asaro. Michael A. Asciak. Michael Edward Asher. Janice Ashley. Thomas J. Ashton. Manuel O. Asitimbay. Lt. Gregg Arthur Atlas. Gerald Atwood. James Audiffred. Kenneth W. Van Auken. Louis F. Aversano. Ezra Aviles. Alona Avraham. Ayodeji Awe. Samuel (Sandy) Ayala. Arlene T. Babakitis. Eustace (Rudy) Bacchus. John James Badagliacca. Jane Ellen Baeszler. Robert J. Baierwalter. Andrew J. Bailey. Brett T. Bailey. Garnet Edward (Ace) Bailey. Tatyana Bakalinskaya. Michael S. Baksh. Sharon Balkcom. Michael Andrew Bane. Kathy Bantis. Gerard Jean Baptiste. Walter Baran. Gerard A. Barbara. Paul V. Barbaro. James W. Barbella. Ivan Kyrillos Fairbanks Barbosa. Victor Daniel Barbosa. Christine Barbuto. Colleen Ann Barkow. David Michael Barkway. Matthew Barnes. Melissa Rose Barnes. Sheila Patricia Barnes. Evan J. Baron. Ana Gloria Pocasangre de Barrera. Renee Barrett-Arjune. Arthur T. Barry. Diane G. Barry. Maurice Vincent Barry. Scott D. Bart. Carlton W. Bartels. Guy Barzvi. Inna Basina. Alysia Basmajian. Kenneth William Basnicki. Lt. Steven J. Bates. Paul James Battaglia. W. David Bauer. Ivhan Luis Carpio Bautista. Marlyn C. Bautista. Mark Bavis. Jasper Baxter. Lorraine G. Bay. Michele (Du Berry) Beale. Todd Beamer. Paul F. Beatini. Jane S. Beatty. Alan Beaven. Larry I. Beck. Manette Marie Beckles. Carl John Bedigian. Michael Beekman. Maria Behr. (Retired) Master Sgt. Max Beilke. Yelena Belilovsky. Nina Patrice Bell. Andrea Della Bella. Debbie S. Bellows. Stephen Elliot Belson. Paul Michael Benedetti. Denise Lenore Benedetto. Bryan Craig Bennett. Eric L. Bennett. Oliver Duncan Bennett. Margaret L. Benson. Dominick J. Berardi. James Patrick Berger. Steven Howard Berger. John P. Bergin. Alvin Bergsohn. Daniel D. Bergstein. Graham Andrew Berkeley. Michael J. Berkeley. Donna Bernaerts-Kearns. David W. Bernard. William Bernstein. David M. Berray. David S. Berry. Joseph J. Berry. William Reed Bethke. Yeneneh Betru. Timothy D. Betterly. Carolyn Beug. Edward F. Beyea. Paul Michael Beyer. Anil T. Bharvaney. Bella Bhukhan. Shimmy D. Biegeleisen. Peter Alexander Bielfeld. William Biggart. Brian Bilcher. Mark K. Bingham. Carl Vincent Bini. Gary Bird. Joshua David Birnbaum. George Bishop. Kris Romeo Bishundat. Jeffrey D. Bittner. Balewa Albert Blackman. Christopher Joseph Blackwell. Carrie Blagburn. Susan L. Blair. Harry Blanding. Janice L. Blaney. Craig Michael Blass. Rita Blau. Richard M. Blood. Michael A. Boccardi. John Paul Bocchi. Michael L. Bocchino. Susan Mary Bochino. Deora Frances Bodley. Bruce Douglas (Chappy) Boehm. Mary Katherine Boffa. Nicholas A. Bogdan. Darren C. Bohan. Lawrence Francis Boisseau. Vincent M. Boland. Touri Bolourchi. Alan Bondarenko. Andre Bonheur. Colin Arthur Bonnett. Frank Bonomo. Yvonne L. Bonomo. Sean Booker. Kelly Ann Booms. Lt. Col. Canfield D. Boone. Mary Jane (MJ) Booth. Sherry Ann Bordeaux. Krystine C. Bordenabe. Martin Boryczewski. Richard E. Bosco. Klaus Bothe. Carol Bouchard. John Howard Boulton. Francisco Bourdier. Thomas H. Bowden. Donna Bowen. Kimberly S. Bowers. Veronique (Bonnie) Nicole Bowers. Larry Bowman. Shawn Edward Bowman. Kevin L. Bowser. Gary R. Box. Gennady Boyarsky. Pamela Boyce. Allen Boyle. Michael Boyle. Alfred Braca. Sandra Conaty Brace. Kevin H. Bracken. Sandra W. Bradshaw. David Brian Brady. Alexander Braginsky. Nicholas W. Brandemarti. Daniel R. Brandhorst. David Reed Gamboa Brandhorst. Michelle Renee Bratton. Patrice Braut. Lydia Estelle Bravo. Ronald Michael Breitweiser. Edward A. Brennan. Frank H. Brennan. Michael Emmett Brennan. Peter Brennan. Thomas M. Brennan. Capt. Daniel Brethel. Gary L. Bright. Jonathan Eric Briley. Mark A. Brisman. Paul Gary Bristow. Victoria Alvarez Brito. Marion Britton. Mark Francis Broderick. Herman C. Broghammer. Keith Broomfield. Bernard Curtis Brown. Capt. Patrick J. Brown. Janice J. Brown. Lloyd Brown. Bettina Browne. Mark Bruce. Richard Bruehert. Andrew Brunn. Capt. Vincent Brunton. Ronald Paul Bucca. Brandon J. Buchanan. Greg Joseph Buck. Dennis Buckley. Nancy Bueche. Patrick Joseph Buhse. John E. Bulaga. Stephen Bunin. Christopher Lee Burford. Capt. William F. Burke. Matthew J. Burke. Thomas Daniel Burke. Charles Burlingame. Donald James Burns. Kathleen A. Burns. Keith James Burns. John Patrick Burnside. Irina Buslo. Milton Bustillo. Thomas M. Butler. Patrick Byrne. Timothy G. Byrne. Daniel Martin Caballero. Jesus Cabezas. Lillian Caceres. Brian Joseph Cachia. Steven Cafiero. Richard M. Caggiano. Cecile M. Caguicla. John Brett Cahill. Michael John Cahill. Scott W. Cahill. Thomas J. Cahill. George Cain. Salvatore B. Calabro. Joseph Calandrillo. Philip V. Calcagno. Edward Calderon. Sgt. 1st Class Jose Orlando Calderon-Olmedo. Kenneth Marcus Caldwell. Dominick E. Calia. Felix (Bobby) Calixte. Capt. Frank Callahan. Liam Callahan. Suzanne Calley. Luigi Calvi. Roko Camaj. Michael Cammarata. David Otey Campbell. Geoffrey Thomas Campbell. Jill Marie Campbell. Robert Arthur Campbell. Sandra Patricia Campbell. Juan Ortega Campos. Sean Canavan. John A. Candela. Vincent Cangelosi. Stephen J. Cangialosi. Lisa B. Cannava. Brian Cannizzaro. Michael R. Canty. Robin Caplan. Louis A. Caporicci. Jonathan N. Cappello. James Christopher Cappers. Richard M. Caproni. Jose Cardona. Dennis M Carey. Stephen Carey. Edward Carlino. Michael Scott Carlo. David G. Carlone. Rosemarie C. Carlson. Mark Stephen Carney. Joyce Ann Carpeneto. Alicia Acevedo Carranza. Jeremy M. Carrington. Michael T. Carroll. Peter Carroll. James J. Carson. Christoffer Carstanjen. Angelene C. Carter. Christopher Newton Carter. James Marcel Cartier. Sharon Carver. Vivian Casalduc. John F. Casazza. Paul Cascio. Neilie Casey. William Cashman. Margarito Casillas. Thomas Anthony Casoria. William Otto Caspar. Alejandro Castano. Arcelia Castillo. Leonard M. Castrianno. Jose Ramon Castro. William Caswell. Richard G. Catarelli. Christopher Sean Caton. Robert J. Caufield. Mary Teresa Caulfield. Judson Cavalier. Michael Joseph Cawley. Jason D. Cayne. Juan Armando Ceballos. Marcia G. Cecil-Carter. Jason Cefalu. Thomas J. Celic. Ana M. Centeno. Joni Cesta. John J. Chada. Jeffrey M. Chairnoff. Swarna Chalasini. William Chalcoff. Eli Chalouh. Charles Lawrence (Chip) Chan. Mandy Chang. Rosa Maria (Rosemary) Chapa. Mark L. Charette. David M. Charlebois. Gregorio Manuel Chavez. Jayceryll M. de Chavez. Pedro Francisco Checo. Douglas MacMillan Cherry. Stephen Patrick Cherry. Vernon Paul Cherry. Nestor Chevalier. Swede Joseph Chevalier. Alexander H. Chiang. Dorothy J. Chiarchiaro. Luis Alfonso Chimbo. Robert Chin. Wing Wai (Eddie) Ching. Nicholas P. Chiofalo. John Chipura. Peter A. Chirchirillo. Catherine E. Chirls. Kyung (Kaccy) Cho. Abul K. Chowdhury. Mohammed Salahuddin Chowdhury. Kirsten L. Christophe. Pamela Chu. Steven Paul Chucknick. Wai-ching Chung. Christopher Ciafardini. Alex F. Ciccone. Frances Ann Cilente. Elaine Cillo. Edna Cintron. Nestor Andre Cintron. Lt. Robert Dominick Cirri. Juan Pablo Alvarez Cisneros. Benjamin Keefe Clark. Eugene Clark. Gregory A. Clark. Mannie Leroy Clark. Sarah Clark. Thomas R. Clark. Christopher Robert Clarke. Donna Clarke. Michael Clarke. Suria R.E. Clarke. Kevin Francis Cleary. James D. Cleere. Geoffrey W. Cloud. Susan M. Clyne. Steven Coakley. Jeffrey Coale. Patricia A. Cody. Daniel Michael Coffey. Jason Matthew Coffey. Florence Cohen. Kevin Sanford Cohen. Anthony Joseph Coladonato. Mark J. Colaio. Stephen J. Colaio. Christopher M. Colasanti. Kevin Nathaniel Colbert. Michel Paris Colbert. Keith Eugene Coleman. Scott Thomas Coleman. Tarel Coleman. Liam Joseph Colhoun. Robert D. Colin. Robert J. Coll. Jean Marie Collin. John Michael Collins. Michael L. Collins. Thomas J. Collins. Joseph Collison. Jeffrey Collman. Patricia Malia Colodner. Linda M. Colon. Soledi Colon. Ronald Comer. Jaime Concepcion. Albert Conde. Denease Conley. Susan Clancy Conlon. Margaret Mary Conner. Cynthia L. Connolly. John E. Connolly. James Lee Connor. Jonathan (J.C.) Connors. Kevin P. Connors. Kevin Francis Conroy. Brenda E. Conway. Dennis Michael Cook. Helen D. Cook. Jeffrey Coombs. John A. Cooper. Julian Cooper. Zandra Cooper. Joseph J. Coppo. Gerard J. Coppola. Joseph Albert Corbett. John (Jay) J. Corcoran. Alejandro Cordero. Robert Cordice. Ruben D. Correa. Danny A. Correa-Gutierrez. Georgine Rose Corrigan. James Corrigan. Carlos Cortes. Kevin M. Cosgrove. Dolores Marie Costa. Digna Alexandra Rivera Costanza. Charles Gregory Costello. Michael S. Costello. Asia Cottom. Conrod K.H. Cottoy. Martin Coughlan. Sgt. John Gerard Coughlin. Timothy John Coughlin. James E. Cove. Andre Cox. Frederick John Cox. James Raymond Coyle. Michelle Coyle-Eulau. Anne M. Cramer. Christopher Seton Cramer. Lt. Cmdr. Eric Allen Cranford. Denise Crant. James L. Crawford. Robert James Crawford. Tara Creamer. Joanne Mary Cregan. Lucia Crifasi. Lt. John Crisci. Daniel Hal Crisman. Dennis A. Cross. Helen Crossin-Kittle. Kevin Raymond Crotty. Thomas G. Crotty. John Crowe. Welles Remy Crowther. Robert L. Cruikshank. Francisco Cruz. John Robert Cruz. Kenneth John Cubas. Thelma Cuccinello. Richard Joseph Cudina. Neil James Cudmore. Thomas Patrick Cullen. Joan McConnell Cullinan. Joyce Cummings. Brian Thomas Cummins. Nilton Albuquerque Fernao Cunha. Michael Joseph Cunningham. Robert Curatolo. Laurence Curia. Paul Dario Curioli. Patrick Currivan. Beverly Curry. Sgt. Michael Curtin. Patricia Cushing. Gavin Cushny. Caleb Arron Dack. Carlos S. DaCosta. Jason Dahl. Brian Dale. John D’Allara. Vincent D’Amadeo. Thomas A. Damaskinos. Jack L. D’Ambrosi. Jeannine Marie Damiani-Jones. Patrick W. Danahy. Nana Kwuku Danso. Mary D’Antonio. Vincent G. Danz. Dwight Donald Darcy. Elizabeth Ann Darling. Annette Andrea Dataram. Lt. Edward Alexander D’Atri. Michael D. D’Auria. Lawrence Davidson. Michael Allen Davidson. Scott Matthew Davidson. Titus Davidson. Niurka Davila. Ada M. Davis. Clinton Davis. Wayne Terrial Davis. Anthony Richard Dawson. Calvin Dawson. Edward James Day. William T. Dean. Robert J. DeAngelis. Thomas P. Deangelis. Dorothy Alma DeAraujo. Tara Debek. James Debeuneure. Anna Debin. James V. DeBlase. Paul DeCola. Capt. Gerald Francis Deconto. Simon Dedvukaj. Jason Christopher DeFazio. David A. Defeo. Jennifer DeJesus. Monique E. DeJesus. Nereida DeJesus. Donald A. Delapenha. Vito Joseph Deleo. Danielle Delie. Colleen Ann Deloughery. Joseph Deluca. Anthony Demas. Martin DeMeo. Francis X. Deming. Carol K. Demitz. Kevin Dennis. Thomas F. Dennis. Jean C. DePalma. Jose Nicolas Depena. Robert J. Deraney. Michael DeRienzo. David Paul Derubbio. Jemal Legesse DeSantis. Christian L. DeSimone. Edward DeSimone. Lt. Andrew Desperito. Michael Jude D’Esposito. Cindy Ann Deuel. Melanie Louise DeVere. Jerry DeVito. Robert P. Devitt. Dennis Lawrence Devlin. Gerard Dewan. Simon Suleman Ali Kassamali Dhanani. Michael L. DiAgostino. Lourdes Galletti Diaz. Matthew Diaz. Nancy Diaz. Obdulio Ruiz Diaz. Michael Diaz-Piedra. Judith Belguese Diaz-Sierra. Patricia F. DiChiaro. Rodney Dickens. Lt. Col. Jerry Don Dickerson. Joseph Dermot Dickey. Lawrence Patrick Dickinson. Michael David Diehl. John DiFato. Vincent F. DiFazio. Carl DiFranco. Donald J. DiFranco. Eddie Dillard. Debra Ann DiMartino. David DiMeglio. Stephen P. Dimino. William J. Dimmling. Christopher Dincuff. Jeffrey M. Dingle. Anthony DiOnisio. George DiPasquale. Joseph DiPilato. Douglas Frank DiStefano. Donald Americo DiTullio. 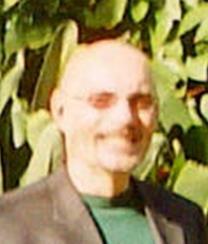 Ramzi A. Doany. Johnnie Doctor. John J. Doherty. Melissa C. Doi. Brendan Dolan. Capt. Robert Edward Dolan. Neil Dollard. James Joseph Domanico. Benilda Pascua Domingo. Albert Dominguez. Charles (Carlos) Dominguez. Geronimo (Jerome) Mark Patrick Dominguez. Lt. Kevin W. Donnelly. Cmdr. William Howard Donovan. Jacqueline Donovan. Stephen Dorf. Thomas Dowd. Lt. Kevin Christopher Dowdell. Mary Yolanda Dowling. Raymond M. Downey. Frank Joseph Doyle. Joseph M. Doyle. Randy Drake. Patrick Joseph Driscoll. Stephen Patrick Driscoll. Charles Droz. Mirna A. Duarte. Luke A. Dudek. Christopher Michael Duffy. Gerard Duffy. Michael Joseph Duffy. Thomas W. Duffy. Antoinette Duger. Jackie Sayegh Duggan. Sareve Dukat. Cmdr. Patrick S. Dunn. Christopher Joseph Dunne. Richard A. Dunstan. Patrick Thomas Dwyer. Joseph Anthony Eacobacci. John Bruce Eagleson. Edward Thomas Earhart. Robert D. Eaton. Dean P. Eberling. Margaret Ruth Echtermann. Paul Robert Eckna. Constantine (Gus) Economos. Barbara G. Edwards. Dennis Michael Edwards. Michael Hardy Edwards. Capt. Martin Egan. Christine Egan. Lisa Egan. Michael Egan. Samantha Egan. Carole Eggert. Lisa Caren Weinstein Ehrlich. John Ernst (Jack) Eichler. Eric Adam Eisenberg. Daphne F. Elder. Michael J. Elferis. Mark J. Ellis. Valerie Silver Ellis. Albert Alfy William Elmarry. Lt. Cmdr. Robert Randolph Elseth. Edgar H. Emery. Doris Suk-Yuen Eng. Christopher S. Epps. Ulf Ramm Ericson. Erwin L. Erker. William J. Erwin. Sarah (Ali) Escarcega. Jose Espinal. Fanny M. Espinoza. Brigette Ann Esposito. Francis Esposito. Lt. Michael Esposito. William Esposito. Ruben Esquilin. Sadie Ette. Barbara G. Etzold. Eric Brian Evans. Robert Edward Evans. Meredith Emily June Ewart. Catherine K. Fagan. Patricia M. Fagan. Keith G. Fairben. Charles S. Falkenberg. Dana Falkenberg. Zoe Falkenberg. Jamie Lynn Fallon. William F. Fallon. William Fallon. Anthony J. Fallone. Dolores B. Fanelli. Robert Fangman. John Joseph Fanning. Kathleen (Kit) Faragher. Capt. Thomas Farino. Nancy Carole Farley. Paige Farley-Hackel. Elizabeth Ann (Betty) Farmer. Douglas Farnum. John G. Farrell. John W. Farrell. Terrence Patrick Farrell. Capt. Joseph Farrelly. Thomas P. Farrelly. Syed Abdul Fatha. Christopher Faughnan. Wendy R. Faulkner. Shannon M. Fava. Bernard D. Favuzza. Robert Fazio. Ronald C. Fazio. William Feehan. Francis J. (Frank) Feely. Garth E. Feeney. Sean B. Fegan. Lee S. Fehling. Peter Feidelberg. Alan D. Feinberg. Rosa Maria Feliciano. Edward P. Felt. Edward T. Fergus. George Ferguson. James Joe Ferguson. Henry Fernandez. Jose Manuel Contreras Fernandez. Judy H. Fernandez. Elisa Giselle Ferraina. Anne Marie Sallerin Ferreira. Robert John Ferris. David Francis Ferrugio. Louis V. Fersini. Michael David Ferugio. Bradley James Fetchet. Jennifer Louise Fialko. Kristen Fiedel. Amelia V. Fields. Samuel Fields. Alex Filipov. Michael Bradley Finnegan. Timothy J. Finnerty. Michael Curtis Fiore. Stephen J. Fiorelli. Paul M. Fiori. John Fiorito. Lt. John R. Fischer. Andrew Fisher. Bennett Lawson Fisher. Gerald P. Fisher. John Roger Fisher. Thomas J. Fisher. Lucy Fishman. Ryan D. Fitzgerald. Thomas Fitzpatrick. Richard P. Fitzsimons. Salvatore A. Fiumefreddo. Darlene Flagg. Wilson “Bud” Flagg. Christina Donovan Flannery. Eileen Flecha. Andre G. Fletcher. Carl Flickinger. Matthew Michael Flocco. John Joseph Florio. Joseph W. Flounders. Carol Flyzik. David Fodor. Lt. Michael N. Fodor. Steven Mark Fogel. Thomas Foley. Jane C. Folger. David Fontana. Chih Min (Dennis) Foo. Del Rose Forbes-Cheatham. Godwin Forde. Donald A. Foreman. Christopher Hugh Forsythe. Claudia Alicia Martinez Foster. Noel J. Foster. Sandra N. Foster. Ana Fosteris. Robert J. Foti. Jeffrey L. Fox. Virginia Fox. Joan Francis. Pauline Francis. Virgin (Lucy) Francis. Gary J. Frank. Morton Frank. Peter Christopher Frank. Colleen Laura Fraser. Richard K. Fraser. Kevin Joseph Frawley. Clyde Frazier. Lillian I. Frederick. Andrew Fredericks. Tamitha Freemen. Brett O. Freiman. Lt. Peter L. Freund. Arlene E. Fried. Alan Wayne Friedlander. Andrew K. Friedman. Paul Friedman. Gregg J. Froehner. Lisa Frost. Peter Christian Fry. Clement Fumando. Steven Elliot Furman. Paul James Furmato. Karleton D.B. Fyfe. Fredric Gabler. Richard Gabriel. Richard S. Gabrielle. James Andrew Gadiel. Pamela Gaff. Ervin Vincent Gailliard. Deanna L. Galante. Grace Galante. German Castillo Galicia. Anthony Edward Gallagher. Daniel James Gallagher. John Patrick Gallagher. Cono E. Gallo. Vincenzo Gallucci. Thomas Edward Galvin. Giovanna (Genni) Gambale. Thomas Gambino. Giann F. Gamboa. Ronald Gamboa. Peter J. Ganci. Claude Michael Gann. Lt. Charles William Garbarini. Andrew Garcia. Cesar Garcia. David Garcia. Jorge Luis Morron Garcia. Juan Garcia. Marlyn C. Garcia. Christopher Gardner. Douglas B. Gardner. Harvey J. Gardner. Jeffrey B. Gardner. Thomas A. Gardner. William Arthur Gardner. Francesco Garfi. Rocco Gargano. James M. Gartenberg. Matthew David Garvey. Bruce Gary. Palmina Delli Gatti. Boyd A. Gatton. Donald Richard Gavagan. Peter Gay. Terence D. Gazzani. Gary Geidel. Paul Hamilton Geier. Julie M. Geis. Peter Gelinas. Steven Paul Geller. Howard G. Gelling. Peter Victor Genco. Steven Gregory Genovese. Alayne F. Gentul. Linda George. Edward F. Geraghty. Suzanne Geraty. Ralph Gerhardt. Robert J. Gerlich. Denis P. Germain. Marina R. Gertsberg. Susan M. Getzendanner. Capt. Lawrence Daniel Getzfred. James Gerard Geyer. Cortz Ghee. Joseph M. Giaccone. Lt. Vincent Francis Giammona. Debra L. Gibbon. James A. Giberson. Brenda C. Gibson. Craig Neil Gibson. Ronnie Gies. Laura A. Giglio. Andrew Clive Gilbert. Timothy Paul Gilbert. Paul Stuart Gilbey. Paul John Gill. Mark Y. Gilles. Evan H. Gillette. Ronald Gilligan. Sgt. Rodney C. Gillis. Laura Gilly. Lt. John F. Ginley. Donna Marie Giordano. Jeffrey Giordano. John Giordano. Steven A. Giorgetti. Martin Giovinazzo. Kum-Kum Girolamo. Salvatore Gitto. Cynthia Giugliano. Mon Gjonbalaj. Dianne Gladstone. Keith Alexander Glascoe. Thomas I. Glasser. Edmund Glazer. Harry Glenn. Barry H. Glick. Jeremy Glick. Steven Lawrence Glick. John T. Gnazzo. William (Bill) Robert Godshalk. Michael Gogliormella. Brian Fredric Goldberg. Jeffrey Grant Goldflam. Michelle Herman Goldstein. Monica Goldstein. Steven Goldstein. Ron Golinski. Andrew H. Golkin. Dennis James Gomes. Enrique Antonio Gomez. Jose Bienvenido Gomez. Manuel Gomez. Wilder Gomez. Jenine Gonzalez. Joel Guevara Gonzalez. Mauricio Gonzalez. Rosa J. Gonzalez. Lynn Catherine Goodchild. Calvin J. Gooding. Peter Morgan Goodrich. Harry Goody. Kiran Reddy Gopu. Catherine Carmen Gorayeb. Lisa Fenn Gordenstein. Kerene Gordon. Sebastian Gorki. Kieran Gorman. Thomas E. Gorman. Michael Edward Gould. Douglas A. Gowell. Yugi Goya. Jon Richard Grabowski. Christopher Michael Grady. Edwin John Graf. David M. Graifman. Gilbert Granados. Lauren Grandcolas. Elvira Granitto. Winston Arthur Grant. Christopher Stewart Gray. Ian J. Gray. James Michael Gray. Linda Mair Grayling. John Michael Grazioso. Timothy Grazioso. Andrew Peter Charles Curry Green. Derrick Arthur Green. Wade Brian Green. Wanda Anita Green. Elaine Myra Greenberg. Donald F. Greene. Gayle R. Greene. James Arthur Greenleaf. Eileen Marsha Greenstein. Elizabeth (Lisa) Martin Gregg. Denise Gregory. Donald H. Gregory. Florence M. Gregory. Pedro (David) Grehan. John M. Griffin. Tawanna Griffin. Joan D. Griffith. Warren Grifka. Ramon Grijalvo. Joseph F. Grillo. David Grimner. The Rev. Francis E. Grogan. Linda Gronlund. Kenneth Grouzalis. Joseph Grzelak. Matthew J. Grzymalski. Robert Joseph Gschaar. Liming (Michael) Gu. Richard Guadagno. Jose A. Guadalupe. Yan Zhu (Cindy) Guan. Geoffrey E. Guja. Lt. Joseph Gullickson. Babita Guman. Douglas B. Gurian. Philip T. Guza. Barbara Guzzardo. Peter Gyulavary. Gary Robert Haag. Andrea Lyn Haberman. Barbara M. Habib. Philip Haentzler. Nizam A. Hafiz. Karen Hagerty. Steven Hagis. Mary Lou Hague. David Halderman. Maile Rachel Hale. Diane M. Hale-McKinzy. Richard Hall. Stanley Hall. Vaswald George Hall. Robert John Halligan. Lt. Vincent Gerard Halloran. Carolyn B. Halmon. James D. Halvorson. Mohammed Salman Hamdani. Felicia Hamilton. Robert Hamilton. Carl Max Hammond. Frederic Kim Han. Christopher James Hanley. Sean Hanley. Valerie Joan Hanna. Thomas Hannafin. Kevin James Hannaford. Michael L. Hannan. Dana Hannon. Christine Lee Hanson. Peter Hanson. Vassilios G. Haramis. James A. Haran. Gerald F. Hardacre. Jeffrey P. Hardy. Timothy John Hargrave. Daniel Harlin. Frances Haros. Lt. Harvey L. Harrell. Lt. Stephen Gary Harrell. Aisha Harris. Stewart D. Harris. John Patrick Hart. Eric Samadikan Hartono. John Clinton Hartz. Emeric J. Harvey. Peter Hashem. Capt. Thomas Theodore Haskell. Timothy Haskell. Joseph John Hasson. Capt. Terence S. Hatton. Leonard William Hatton. Michael Helmut Haub. Timothy Aaron Haviland. Donald G. Havlish. Anthony Hawkins. Nobuhiro Hayatsu. James E. Hayden. Philip Hayes. Robert Hayes. William Ward Haynes. Scott Hazelcorn. Lt. Michael K. Healey. Roberta Bernstein Heber. Charles Francis Xavier Heeran. John Heffernan. Michele Heidenberger. Sheila Hein. Howard Joseph Heller. JoAnn L. Heltibridle. Ronald John Hemenway. Mark F. Hemschoot. Ronnie Lee Henderson. Janet Hendricks. Brian Hennessey. Edward (Ted) R. Hennessy. Michelle Marie Henrique. Joseph P. Henry. William Henry. John Henwood. Robert Allan Hepburn. Mary (Molly) Herencia. Lindsay Coates Herkness. Harvey Robert Hermer. Claribel Hernandez. Norberto Hernandez. Raul Hernandez. Gary Herold. Jeffrey A. Hersch. Thomas Hetzel. Capt. Brian Hickey. Ysidro Hidalgo-Tejada. Lt. Timothy Higgins. Robert D. Higley. Todd Russell Hill. Clara Victorine Hinds. Neal Hinds. Mark D. Hindy. Richard Bruce Van Hine. Katsuyuki Hirai. Heather Malia Ho. Tara Yvette Hobbs. Thomas A. Hobbs. James L. Hobin. Robert Wayne Hobson. DaJuan Hodges. Ronald George Hoerner. Patrick Aloysius Hoey. John A. Hofer. Marcia Hoffman. Stephen G. Hoffman. Frederick J. Hoffmann. Michele L. Hoffmann. Judith Florence Hofmiller. Maj. Wallace Cole Hogan. Thomas Warren Hohlweck. Jonathan R. Hohmann. Cora Hidalgo Holland. John Holland. Joseph Francis Holland. Jimmie Ira Holley. Elizabeth Holmes. Thomas P. Holohan. Herbert W. Homer. Leroy Homer. Bradley Hoorn. James P. Hopper. Montgomery McCullough Hord. Michael Horn. Matthew D. Horning. Robert L. Horohoe. Michael R. Horrocks. Aaron Horwitz. Charles J. Houston. Uhuru G. Houston. Angela Houtz. George Howard. Brady K. Howell. Michael C. Howell. Steven L. Howell. Jennifer L. Howley. Milagros Hromada. Marian Hrycak. Stephen Huczko. Kris R. Hughes. Melissa Harrington Hughes. Paul R. Hughes. Robert T. “Bobby” Hughes. Thomas F. Hughes. Timothy Robert Hughes. Susan Huie. Mychal Lamar Hulse. Nicholas Humber. Kathleen (Casey) Hunt. William C. Hunt. Joseph G. Hunter. Peggie Hurt. Robert Hussa. Lt. Col. Stephen Neil Hyland. Robert J. Hymel. Capt. Walter Hynes. Thomas E. Hynes. Joseph Anthony Ianelli. Zuhtu Ibis. Jonathan Lee Ielpi. Michael Patrick Iken. Daniel Ilkanayev. Capt. Frederick Ill. Abraham Nethanel Ilowitz. Anthony P. Infante. Louis S. Inghilterra. Christopher N. Ingrassia. Paul Innella. Stephanie V. Irby. Douglas Irgang. Kristin A. Irvine-Ryan. Todd A. Isaac. Erik Hans Isbrandtsen. Taizo Ishikawa. Waleed Iskandar. Aram Iskenderian. John Iskyan. Kazushige Ito. Aleksandr Valeryerich Ivantsov. Sgt. Maj. Lacey B. Ivory. Virginia Jablonski. Bryan Jack. Brooke Alexandra Jackman. Aaron Jacobs. Ariel Louis Jacobs. Jason Kyle Jacobs. Michael Grady Jacobs. Steven A. Jacobson. Steven D. Jacoby. Ricknauth Jaggernauth. Jake Denis Jagoda. Yudh V.S. Jain. Maria Jakubiak. Robert Adrien Jalbert. Ernest James. Gricelda E. James. Mark Jardim. Amy N. Jarret. Mohammed Jawara. Francois Jean-Pierre. Maxima Jean-Pierre. Paul E. Jeffers. John Charles Jenkins. Joseph Jenkins. Alan K. Jensen. Prem N. Jerath. Farah Jeudy. Hweidar Jian. Eliezer Jimenez. Luis Jimenez. Charles Gregory John. Nicholas John. LaShawana Johnson. Lt. Col. Dennis M. Johnson. Scott M. Johnson. William Johnston. Allison Horstmann Jones. Arthur Joseph Jones. Brian L. Jones. Charles Edward Jones. Christopher D. Jones. Donald T. Jones. Donald W. Jones. Judith Jones. Linda Jones. Mary S. Jones. Andrew Jordan. Robert Thomas Jordan. Albert Joseph. Ingeborg Joseph. Karl Henri Joseph. Stephen Joseph. Jane Eileen Josiah. Lt. Anthony Jovic. Thomas E. Burnett Jr.. Angel Luis Juarbe. Karen Susan Juday. Ann Judge. The Rev. Mychal Judge. Paul W. Jurgens. Thomas Edward Jurgens. Kacinga Kabeya. Shashi Kiran Lakshmikantha Kadaba. Gavkharoy Mukhometovna Kamardinova. Shari Kandell. Howard Lee Kane. Jennifer Lynn Kane. Vincent D. Kane. Joon Koo Kang. Sheldon R. Kanter. Deborah H. Kaplan. Alvin Peter Kappelmann. Charles Karczewski. William A. Karnes. Douglas G. Karpiloff. Charles L. Kasper. Andrew Kates. John Katsimatides. Sgt. Robert Kaulfers. Don Jerome Kauth. Hideya Kawauchi. Edward T. Keane. Richard M. Keane. Lisa Kearney-Griffin. Karol Ann Keasler. Barbara Keating. Paul Hanlon Keating. Leo Russell Keene. Brenda Kegler. Chandler Keller. Joseph J. Keller. Peter Rodney Kellerman. Joseph P. Kellett. Frederick H. Kelley. James Joseph Kelly. Joseph A. Kelly. Maurice Patrick Kelly. Richard John Kelly. Thomas Michael Kelly. Thomas Richard Kelly. Thomas W. Kelly. Timothy C. Kelly. William Hill Kelly. Robert C. Kennedy. Thomas J. Kennedy. Yvonne Kennedy. John Keohane. Ralph Francis Kershaw. Lt. Ronald T. Kerwin. Howard L. Kestenbaum. Douglas D. Ketcham. Ruth E. Ketler. Boris Khalif. Norma Khan. Sarah Khan. Taimour Firaz Khan. Rajesh Khandelwal. Bhowanie Devi Khemraj. SeiLai Khoo. Michael Kiefer. Satoshi Kikuchihara. Andrew Jay-Hoon Kim. Lawrence Don Kim. Mary Jo Kimelman. Sue Jue Kim-Hanson. Heinrich Kimmig. Karen A. Kincaid. Amy R. King. Andrew Marshall King. Lucille T. King. Robert King. Lisa M. King-Johnson. Brian Kinney. Takashi Kinoshita. Chris Michael Kirby. Howard (Barry) Kirschbaum. Glenn Davis Kirwin. Richard J. Klares. Peter A. Klein. Alan D. Kleinberg. Karen J. Klitzman. Ronald Philip Kloepfer. Andrew Knox. Thomas Patrick Knox. Yevgeny Knyazev. Rebecca Lee Koborie. Deborah Kobus. Gary Edward Koecheler. Frank J. Koestner. Ryan Kohart. Vanessa Lynn Kolpak. Irina Kolpakova. Suzanne Kondratenko. Abdoulaye Kone. Bon-seok Koo. Dorota Kopiczko. Scott Kopytko. Bojan Kostic. Danielle Kousoulis. David Kovalcin. John J. Kren. William Krukowski. Lyudmila Ksido. Toshiya Kuge. Shekhar Kumar. Kenneth Kumpel. Frederick Kuo. Patricia Kuras. Nauka Kushitani. Thomas Joseph Kuveikis. Victor Kwarkye. Kui Fai Kwok. Angela R. Kyte. Kathryn L. LaBorie. Amarnauth Lachhman. Andrew LaCorte. Ganesh Ladkat. James P. Ladley. Daniel M. Van Laere. Joseph A. Lafalce. Jeanette LaFond-Menichino. David LaForge. Michael Patrick LaForte. Alan Lafranco. Juan Lafuente. Neil K. Lai. Vincent A. Laieta. William David Lake. Franco Lalama. Chow Kwan Lam. Lt. Michael Scott Lamana. Stephen LaMantia. Amy Hope Lamonsoff. Robert T. Lane. Brendan M. Lang. Rosanne P. Lang. Vanessa Langer. Mary Lou Langley. Peter J. Langone. Thomas Langone. Michele B. Lanza. Ruth Sheila Lapin. Carol Ann LaPlante. Ingeborg Astrid Desiree Lariby. Robin Larkey. Judy Larocque. Christopher Randall Larrabee. Hamidou S. Larry. Scott Larsen. John Adam Larson. Natalie Janis Lasden. Gary E. Lasko. Nicholas C. Lassman. Paul Laszczynski. Jeffrey Latouche. Cristina de Laura. Oscar de Laura. Charles Laurencin. Stephen James Lauria. Maria Lavache. Denis F. Lavelle. Jeannine M. LaVerde. Anna A. Laverty. Steven Lawn. Robert A. Lawrence. Nathaniel Lawson. David W. Laychak. Eugen Lazar. James Patrick Leahy. Lt. Joseph Gerard Leavey. Neil Leavy. Robert George LeBlanc. Leon Lebor. Kenneth Charles Ledee. Alan J. Lederman. Elena Ledesma. Alexis Leduc. Daniel John Lee. David S. Lee. Dong Lee. Gary H. Lee. Hyun-joon (Paul) Lee. Jong-min Lee. Juanita Lee. Kathryn Blair Lee. Linda C. Lee. Lorraine Lee. Myung-woo Lee. Richard Y.C. Lee. Stuart (Soo-Jin) Lee. Yang Der Lee. Stephen Lefkowitz. Adriana Legro. Edward J. Lehman. Eric Andrew Lehrfeld. David Ralph Leistman. David Prudencio LeMagne. Joseph A. Lenihan. John J. Lennon. John Robinson Lenoir. Jorge Luis Leon. Matthew Gerard Leonard. Michael Lepore. Charles Antoine Lesperance. Jeffrey Earle LeVeen. John D. Levi. Alisha Caren Levin. Neil D. Levin. Robert Levine. Robert M. Levine. Shai Levinhar. Daniel C. Lewin. Adam J. Lewis. Jennifer Lewis. Kenneth Lewis. Margaret Susan Lewis. Ye Wei Liang. Orasri Liangthanasarn. Daniel F. Libretti. Ralph M. Licciardi. Edward Lichtschein. Samantha Lightbourn-Allen. Steven B. Lillianthal. Carlos R. Lillo. Craig Damian Lilore. Arnold A. Lim. Darya Lin. Wei Rong Lin. Tomas Gallegos Linares. Nickie L. Lindo. Thomas V. Linehan. Robert Thomas Linnane. Alan Linton. Diane Theresa Lipari. Kenneth P. Lira. Francisco Alberto Liriano. Lorraine Lisi. Paul Lisson. Vincent Litto. Ming-Hao Liu. Nancy Liz. Harold Lizcano. Martin Lizzul. George A. Llanes. Elizabeth Claire Logler. Catherine Lisa Loguidice. Jerome Robert Lohez. Michael W. Lomax. Maj. Steve Long. Laura M. Longing. Salvatore P. Lopes. Daniel Lopez. George Lopez. Luis Lopez. Maclovio Lopez. Manuel L. Lopez. Joseph Lostrangio. Chet Louie. Stuart Seid Louis. Joseph Lovero. Sara Low. Michael W. Lowe. Garry Lozier. John Peter Lozowsky. Charles Peter Lucania. Edward (Ted) H. Luckett. Mark G. Ludvigsen. Lee Charles Ludwig. Sean Thomas Lugano. Daniel Lugo. Marie Lukas. William Lum. Michael P. Lunden. Christopher Lunder. Anthony Luparello. Gary Lutnick. Linda Luzzicone. Alexander Lygin. CeeCee Lyles. Farrell Peter Lynch. James Francis Lynch. James Lynch. Louise A. Lynch. Michael F. Lynch. Michael Francis Lynch. Michael Lynch. Richard Dennis Lynch. Robert H. Lynch. Sean Lynch. Sean Patrick Lynch. Terence M. Lynch. Michael J. Lyons. Monica Lyons. Nehamon Lyons. Patrick Lyons. Robert Francis Mace. Marianne MacFarlane. Jan Maciejewski. Susan A. MacKay. Catherine Fairfax MacRae. Richard B. Madden. Simon Maddison. Noell Maerz. Jeannieann Maffeo. Joseph Maffeo. Jay Robert Magazine. Brian Magee. Charles Wilson Magee. Joseph Maggitti. Ronald E. Magnuson. Daniel L. Maher. Thomas Anthony Mahon. William Mahoney. Joseph Maio. Takashi Makimoto. Abdu Malahi. Debora Maldonado. Myrna T. Maldonado-Agosto. Alfred R. Maler. Gregory James Malone. Edward Francis (Teddy) Maloney. Joseph E. Maloney. Gene E. Maloy. Christian Maltby. Francisco Miguel (Frank) Mancini. Joseph Mangano. Sara Elizabeth Manley. Debra M. Mannetta. Marion Victoria (vickie) Manning. Terence J. Manning. James Maounis. Alfred Gilles Padre Joseph Marchand. Joseph Ross Marchbanks. Hilda Marcin. Peter Edward Mardikian. Edward Joseph Mardovich. Lt. Charles Joseph Margiotta. Louis Neil Mariani. Kenneth Joseph Marino. Lester Vincent Marino. Vita Marino. Kevin D. Marlo. Jose J. Marrero. John Marshall. Shelley A. Marshall. James Martello. Michael A. Marti. Karen A. Martin. Lt. Peter Martin. Teresa Martin. William J. Martin. Brian E. Martineau. Betsy Martinez. Edward J. Martinez. Jose Martinez. Robert Gabriel Martinez. Lizie Martinez-Calderon. Francis (Frank) Albert De Martini. Lt. Paul Richard Martini. Joseph A. Mascali. Bernard Mascarenhas. Stephen F. Masi. Ada L. Mason. Nicholas G. Massa. Patricia A. Massari. Michael Massaroli. Philip W. Mastrandrea. Rudolph Mastrocinque. Joseph Mathai. Charles William Mathers. William A. Mathesen. Marcello Matricciano. Margaret Elaine Mattic. Lt. Col. Dean E. Mattson. Robert D. Mattson. Walter Matuza. Lt. Gen. Timothy J. Maude. Charles A. (Chuck) Mauro. Charles J. Mauro. Dorothy Mauro. Nancy T. Mauro. Robert J. Maxwell. Renee A. May. Tyrone May. Keithroy Maynard. Robert J. Mayo. Kathy Nancy Mazza-Delosh. Edward Mazzella. Jennifer Mazzotta. Kaaria Mbaya. James J. McAlary. Brian McAleese. Patricia A. McAneney. Colin Richard McArthur. John McAvoy. Kenneth M. McBrayer. Brendan McCabe. Michael J. McCabe. Thomas McCann. Justin McCarthy. Kevin M. McCarthy. Michael Desmond McCarthy. Robert Garvin McCarthy. Stanley McCaskill. Katie Marie McCloskey. Tara McCloud-Gray. Juliana Valentine McCourt. Ruth Magdaline McCourt. Charles Austin McCrann. Tonyell McDay. Matthew T. McDermott. Joseph P. McDonald. Brian G. McDonnell. Michael McDonnell. John F. McDowell. Eamon J. McEneaney. John Thomas McErlean. Katherine (Katie) McGarry-Noack. Daniel F. McGinley. Mark Ryan McGinly. Lt. William E. McGinn. Thomas H. McGinnis. Michael Gregory McGinty. Ann McGovern. Scott Martin McGovern. William J. McGovern. Stacey S. McGowan. Francis Noel McGuinn. First Officer Thomas McGuinness. Patrick J. McGuire. Thomas M. McHale. Keith McHeffey. Ann M. McHugh. Denis J. McHugh. Dennis P. McHugh. Michael Edward McHugh. Robert G. McIlvaine. Donald James McIntyre. Stephanie McKenna. Molly McKenzie. Barry J. McKeon. Evelyn C. McKinnedy. Darryl Leron McKinney. George Patrick McLaughlin. Robert C. McLaughlin. Gavin McMahon. Robert Dismas McMahon. Edmund M. McNally. Daniel McNeal. Walter Arthur McNeil. Jaselliny McNish. Christine Sheila McNulty. Sean Peter McNulty. Robert William McPadden. Terence A. McShane. Timothy Patrick McSweeney. Martin E. McWilliams. Rocco A. Medaglia. Abigail Medina. Ana Iris Medina. Deborah Medwig. Damian Meehan. William J. Meehan. Alok Kumar Mehta. Raymond Meisenheimer. Manuel Emilio Mejia. Eskedar Melaku. Antonio Melendez. Mary Melendez. Christopher D. Mello. Yelena Melnichenko. Stuart Todd Meltzer. Diarelia Jovannah Mena. Dora Menchaca. Charles Mendez. Lizette Mendoza. Shevonne Mentis. Wolfgang Peter Menzel. Steve Mercado. Wesley Mercer. Ralph Joseph Mercurio. Alan H. Merdinger. George C. Merino. Yamel Merino. George Merkouris. Deborah Merrick. Raymond J. Metz. Jill A. Metzler. David Robert Meyer. Nurul Huq Miah. William Edward Micciulli. Martin Paul Michelstein. Patricia E. (Patti) Mickley. Luis Clodoaldo Revilla Mier. Maj. Ronald D. Milam. Peter T. Milano. Gregory Milanowycz. Lukasz T. Milewski. Corey Peter Miller. Craig James Miller. Douglas C. Miller. Henry Miller. Joel Miller. Michael Matthew Miller. Nicole Miller. Phillip D. Miller. Robert Alan Miller. Robert C. Miller. Benjamin Millman. Charles M. Mills. Ronald Keith Milstein. Robert Minara. William G. Minardi. Louis Joseph Minervino. Thomas Mingione. Nana Akwasi Minkah. Wilbert Miraille. Domenick Mircovich. Rajesh A. Mirpuri. Joseph Mistrulli. Susan Miszkowicz. Lt. Paul Thomas Mitchell. Richard Miuccio. Jeff Mladenik. Frank V. Moccia. Capt. Louis Joseph Modafferi. Boyie Mohammed. Lt. Dennis Mojica. Manuel Mojica. Fernando Jimenez Molina. Kleber Rolando Molina. Manuel Dejesus Molina. Carl Molinaro. Justin J. Molisani. Brian Patrick Monaghan. Franklin Monahan. John Gerard Monahan. Kristen Montanaro. Craig D. Montano. Michael Montesi. Carlos Alberto Montoya. Cheryl Ann Monyak. Capt. Thomas Moody. Sharon Moore. Krishna Moorthy. Laura Lee Morabito. Abner Morales. Carlos Morales. Luis Morales. Paula Morales. Gerard (Jerry) P. Moran. John Christopher Moran. John Moran. Kathleen Moran. Lindsay S. Morehouse. George Morell. Steven P. Morello. Vincent S. Morello. Arturo Alva Moreno. Yvette Nicole Moreno. Dorothy Morgan. Richard Morgan. Nancy Morgenstern. Sanae Mori. Blanca Morocho. Leonel Morocho. Dennis G. Moroney. Lynne Irene Morris. Odessa V. Morris. Seth A. Morris. Stephen Philip Morris. Christopher M. Morrison. Ferdinand V. Morrone. William David Moskal. Brian Anthony Moss. Manuel Da Mota. Marco Motroni. Iouri A. Mouchinski. Jude J. Moussa. Peter C. Moutos. Damion Mowatt. Ted Moy. Christopher Mozzillo. Stephen V. Mulderry. Richard Muldowney. Michael D. Mullan. Dennis Michael Mulligan. Peter James Mulligan. Michael Joseph Mullin. James Donald Munhall. Nancy Muniz. Carlos Mario Munoz. Francisco Munoz. Theresa (Terry) Munson. Robert M. Murach. Cesar Augusto Murillo. Marc A. Murolo. Brian Joseph Murphy. Charles Murphy. Christopher W. Murphy. Edward C. Murphy. James F. Murphy. James Thomas Murphy. Kevin James Murphy. Lt. Cmdr. Patrick Jude Murphy. Lt. Raymond E. Murphy. Patrick Sean Murphy. Robert Eddie Murphy. John Joseph Murray. John Joseph Murray. Susan D. Murray. Valerie Victoria Murray. Richard Todd Myhre. Louis J. Nacke. Lt. Robert B. Nagel. Mildred Naiman. Takuya Nakamura. Alexander J.R. Napier. Frank Joseph Naples. John Napolitano. Catherine A. Nardella. Mario Nardone. Manika Narula. Shawn M. Nassaney. Narender Nath. Karen S. Navarro. Joseph M. Navas. Francis J. Nazario. Glenroy Neblett. Marcus R. Neblett. Jerome O. Nedd. Laurence Nedell. Luke G. Nee. Pete Negron. Laurie Ann Neira. Ann Nicole Nelson. David William Nelson. James Nelson. Michele Ann Nelson. Peter Allen Nelson. Oscar Nesbitt. Gerard Terence Nevins. Renee Newell. Christopher Newton. Kapinga Ngalula. Nancy Yuen Ngo. Khang Nguyen. Jody Tepedino Nichilo. Kathleen Nicosia. Martin Niederer. Alfonse J. Niedermeyer. Frank John Niestadt. Gloria Nieves. Juan Nieves. Troy Edward Nilsen. Paul R. Nimbley. John Ballantine Niven. Curtis Terrence Noel. Michael Allen Noeth. Daniel R. Nolan. Robert Walter Noonan. Jacqueline J. Norton. Robert Grant Norton. Daniela R. Notaro. Brian Novotny. Soichi Numata. Brian Felix Nunez. Jose R. Nunez. Jeffrey Nussbaum. James A. Oakley. Dennis O’Berg. James P. O’Brien. Michael O’Brien. Scott J. O’Brien. Timothy Michael O’Brien. Lt. Daniel O’Callaghan. Jefferson Ocampo. Dennis J. O’Connor. Diana J. O’Connor. Keith K. O’Connor. Richard J. O’Connor. Amy O’Doherty. Marni Pont O’Doherty. Douglas Oelschlager. Takashi Ogawa. Albert Ogletree. Philip Paul Ognibene. John Ogonowski. James Andrew O’Grady. Joseph J. Ogren. Lt. Thomas O’Hagan. Samuel Oitice. Capt. William O’Keefe. Patrick O’Keefe. Gerald Michael Olcott. Gerald O’Leary. Christine Anne Olender. Elsy Carolina Osorio Oliva. Linda Mary Oliva. Edward K. Oliver. Leah E. Oliver. Eric T. Olsen. Jeffrey James Olsen. Barbara Olson. Maureen L. Olson. Steven John Olson. Matthew Timothy O’Mahoney. Toshihiro Onda. Seamus L. O’Neal. John P. O’Neill. Peter J. O’Neill. Sean Gordon Corbett O’Neill. Betty Ong. Michael C. Opperman. Christopher Orgielewicz. Margaret Orloske. Virginia A. Ormiston-Kenworthy. Ruben Ornedo. Kevin O’Rourke. Juan Romero Orozco. Ronald Orsini. Peter K. Ortale. Jane M. Orth. Alexander Ortiz. David Ortiz. Emilio (Peter) Ortiz. Pablo Ortiz. Paul Ortiz. Sonia Ortiz. Masaru Ose. Patrick J. O’Shea. Robert W. O’Shea. James Robert Ostrowski. Timothy O’Sullivan. Jason Douglas Oswald. Michael Otten. Isidro Ottenwalder. Michael Chung Ou. Todd Joseph Ouida. Jesus Ovalles. Peter J. Owens. Adianes Oyola. Angel M. Pabon. Israel Pabon. Roland Pacheco. Michael Benjamin Packer. Diana Borrero de Padro. Spc. Chin Sun Pak. Deepa K. Pakkala. Jeffrey Matthew Palazzo. Thomas Anthony Palazzo. Richard (Rico) Palazzolo. Orio Joseph Palmer. Frank A. Palombo. Alan N. Palumbo. Christopher M. Panatier. Dominique Pandolfo. Lt. Jonas Martin Panik. Paul Pansini. John M. Paolillo. Edward J. Papa. Salvatore Papasso. James N. Pappageorge. Marie Pappalardo. Vinod K. Parakat. Vijayashanker Paramsothy. Nitin Parandkar. Hardai (Casey) Parbhu. James Wendell Parham. Debra (Debbie) Paris. George Paris. Gye-Hyong Park. Philip L. Parker. Michael A. Parkes. Robert Emmett Parks. Hasmukhrai Chuckulal Parmar. Robert Parro. Diane Marie Moore Parsons. Leobardo Lopez Pascual. Michael J. Pascuma. Jerrold H. Paskins. Horace Robert Passananti. Suzanne H. Passaro. Victor Antonio Martinez Pastrana. Avnish Ramanbhai Patel. Dipti Patel. Manish K. Patel. Steven B. Paterson. James Matthew Patrick. Manuel Patrocino. Bernard E. Patterson. Maj. Clifford L. Patterson. Cira Marie Patti. Robert Edward Pattison. James R. Paul. Patrice Paz. Sharon Cristina Millan Paz. Victor Paz-Gutierrez. Stacey L. Peak. Richard Allen Pearlman. Durrell Pearsall. Thomas Pecorelli. Thomas E. Pedicini. Todd D. Pelino. Michel Adrian Pelletier. Anthony Peluso. Angel Ramon Pena. Emerita (Emy) De La Pena. Robert Penniger. Richard Al Penny. Salvatore F. Pepe. Carl Allen Peralta. Robert David Peraza. Jon A. Perconti. Alejo Perez. Angel Perez. Angela Susan Perez. Anthony Perez. Ivan Perez. Nancy E. Perez. Berinthia Berenson Perkins. Joseph John Perroncino. Edward J. Perrotta. Emelda Perry. John William Perry. Lt. Glenn C. Perry. Franklin Allan Pershep. Daniel Pesce. Michael J. Pescherine. Davin Peterson. Donald Arthur Peterson. Jean Hoadley Peterson. William Russel Peterson. Mark Petrocelli. Lt. Philip S. Petti. Glen Kerrin Pettit. Dominick Pezzulo. Kaleen E. Pezzuti. Lt. Kevin Pfeifer. Tu-Anh Pham. Lt. Kenneth John Phelan. Michael V. San Phillip. Eugenia Piantieri. Ludwig John Picarro. Matthew Picerno. Joseph O. Pick. Christopher Pickford. Dennis J. Pierce. Joseph A. Della Pietra. Bernard T. Pietronico. Nicholas P. Pietrunti. Theodoros Pigis. Susan Elizabeth Ancona Pinto. Joseph Piskadlo. Christopher Todd Pitman. Josh Piver. Robert R. Ploger. Joseph Plumitallo. John M. Pocher. William Howard Pohlmann. Laurence M. Polatsch. Thomas H. Polhemus. Steve Pollicino. Susan M. Pollio. Lt. J.G. Darin Howard Pontell. Joshua Poptean. Giovanna Porras. Anthony Portillo. James Edward Potorti. Daphne Pouletsos. Richard Poulos. Stephen E. Poulos. Brandon Jerome Powell. Scott Powell. Shawn Edward Powell. Tony Pratt. Gregory M. Preziose. Wanda Ivelisse Prince. Vincent Princiotta. Kevin Prior. Everett Martin (Marty) Proctor. Carrie B. Progen. David Lee Pruim. Richard Prunty. John F. Puckett. Robert D. Pugliese. Edward F. Pullis. Patricia Ann Puma. (Retired) Capt. Jack Punches. Sonia Morales Puopolo. Hemanth Kumar Puttur. Joseph John Pycior. Edward R. Pykon. Christopher Quackenbush. Lars Peter Qualben. Lincoln Quappe. Beth Ann Quigley. Patrick Quigley. Lt. Michael Quilty. James Francis Quinn. Ricardo Quinn. Carol Rabalais. Christopher Peter A. Racaniello. Leonard Ragaglia. Eugene J. Raggio. Laura Marie Ragonese-Snik. Michael Ragusa. Peter F. Raimondi. Harry A. Raines. Lisa J. Raines. Ehtesham U. Raja. Valsa Raju. Edward Rall. Lukas (Luke) Rambousek. Julio Fernandez Ramirez. Maria Isabel Ramirez. Harry Ramos. Vishnoo Ramsaroop. Deborah Ramsaur. Lorenzo Ramzey. A. Todd Rancke. Adam David Rand. Jonathan C. Randall. Srinivasa Shreyas Ranganath. Anne Rose T. Ransom. Faina Rapoport. Rhonda Rasmussen. Robert Arthur Rasmussen. Amenia Rasool. Roger Mark Rasweiler. Marsha Dianah Ratchford. David Alan James Rathkey. William Ralph Raub. Gerard Rauzi. Alexey Razuvaev. Gregory Reda. Sarah (Prothero) Redheffer. Michele Reed. Judith A. Reese. Donald J. Regan. Lt. Robert M. Regan. Thomas M. Regan. Christian Michael Otto Regenhard. Howard Reich. Gregg Reidy. James Brian Reilly. Kevin O. Reilly. Timothy E. Reilly. Joseph Reina. Thomas Barnes Reinig. Frank B. Reisman. Joshua Scott Reiss. Karen Renda. John Armand Reo. Richard Rescorla. John Thomas Resta. Sylvia San Pio Resta. Martha Reszke. David E. Retik. Todd Reuben. Eduvigis (Eddie) Reyes. Bruce A. Reynolds. John Frederick Rhodes. Francis S. Riccardelli. Rudolph N. Riccio. AnnMarie (Davi) Riccoboni. David Rice. Eileen Mary Rice. Kenneth F. Rice. Cecelia E. Richard. Lt. Vernon Allan Richard. Claude D. Richards. Gregory Richards. Michael Richards. Venesha O. Richards. James C. Riches. Alan Jay Richman. John M. Rigo. Frederick Charles Rimmele. Theresa (Ginger) Risco. Rose Mary Riso. Moises N. Rivas. Joseph Rivelli. Carmen A. Rivera. Isaias Rivera. Juan William Rivera. Linda Rivera. Waleska Martinez Rivera. David E. Rivers. Joseph R. Riverso. Paul Rizza. John Frank Rizzo. Stephen Louis Roach. Joseph Roberto. Leo A. Roberts. Michael Edward Roberts. Michael Roberts. Donald Walter Robertson. Catherina Robinson. Jeffrey Robinson. Michell Lee Robotham. Donald Robson. Antonio Augusto Tome Rocha. Raymond J. Rocha. Laura Rockefeller. John M. Rodak. Antonio Jose Carrusca Rodrigues. Anthony Rodriguez. Carmen Milagros Rodriguez. Gregory E. Rodriguez. Marsha A. Rodriguez. Richard Rodriguez. David B. Rodriguez-Vargas. Matthew Rogan. Jean Roger. Karlie Barbara Rogers. Scott Rohner. Keith Roma. Joseph M. Romagnolo. Efrain Franco Romero. Elvin Santiago Romero. James A. Romito. Sean Rooney. Eric Thomas Ropiteau. Aida Rosario. Angela Rosario. Fitzroy St. Rose. Mark H. Rosen. Brooke David Rosenbaum. Linda Rosenbaum. Sheryl Lynn Rosenbaum. Lloyd D. Rosenberg. Mark Louis Rosenberg. Andrew I. Rosenblum. Joshua M. Rosenblum. Joshua A. Rosenthal. Richard David Rosenthal. Philip M. Rosenzweig. Richard Ross. Daniel Rossetti. Norman Rossinow. Nicholas P. Rossomando. Michael Craig Rothberg. Donna Marie Rothenberg. Mark Rothenberg. James M. Roux. Nick Rowe. Edward V. Rowenhorst. Judy Rowlett. Timothy A. Roy. Paul G. Ruback. Ronald J. Ruben. Joanne Rubino. David Michael Ruddle. Bart Joseph Ruggiere. Susan Ann Ruggiero. Adam K. Ruhalter. Gilbert Ruiz. Robert E. Russell. Stephen P. Russell. Steven Harris Russin. Lt. Michael Thomas Russo. Wayne Alan Russo. William R. Ruth. Edward Ryan. John J. Ryan. Jonathan Stephan Ryan. Matthew Lancelot Ryan. Tatiana Ryjova. Christina Sunga Ryook. Thierry Saada. Jason E. Sabbag. Thomas E. Sabella. Scott Saber. Charles E. Sabin. Joseph Sacerdote. Jessica Sachs. Francis J. Sadocha. Jude Elias Safi. Brock Joel Safronoff. Edward Saiya. John Patrick Salamone. Marjorie C. Salamone. Hernando R. Salas. Juan Salas. Esmerlin Salcedo. John Salvatore Salerno. Rahma Salie. Richard L. Salinardi. Wayne John Saloman. Nolbert Salomon. Catherine Patricia Salter. Frank Salvaterra. Paul R. Salvio. Samuel R. Salvo. Carlos Samaniego. Rena Sam-Dinnoo. John Sammartino. James Kenneth Samuel. Hugo Sanay-Perafiel. Alva Jeffries Sanchez. Erick Sanchez. Jacquelyn P. Sanchez. Jesus Sanchez. Eric Sand. Stacey Leigh Sanders. Herman Sandler. James Sands. Ayleen J. Santiago. Kirsten Santiago. Maria Theresa Santillan. Susan G. Santo. Christopher Santora. John Santore. Mario L. Santoro. Rafael Humberto Santos. Rufino Conrado F. (Roy) Santos. Capt. Victor Saracini. Kalyan K. Sarkar. Chapelle Sarker. Paul F. Sarle. Deepika Kumar Sattaluri. Gregory Thomas Saucedo. Susan Sauer. Anthony Savas. Vladimir Savinkin. John Sbarbaro. Lt. Col. David M. Scales. Robert L. Scandole. Michelle Scarpitta. Dennis Scauso. John A. Schardt. John G. Scharf. Fred Claude Scheffold. Angela Susan Scheinberg. Scott M. Schertzer. Sean Schielke. Steven Francis Schlag. Cmdr. Robert Allan Schlegel. Jon S. Schlissel. Karen Helene Schmidt. Ian Schneider. Thomas G. Schoales. Marisa Di Nardo Schorpp. Frank G. Schott. Gerard P. Schrang. Jeffrey Schreier. John T. Schroeder. Susan Lee Kennedy Schuler. Edward W. Schunk. Mark E. Schurmeier. Clarin Shellie Schwartz. John Schwartz. Mark Schwartz. Adriane Victoria Scibetta. Raphael Scorca. Janice Scott. Randolph Scott. Christopher J. Scudder. Arthur Warren Scullin. Michael Seaman. Margaret Seeliger. Anthony Segarra. Carlos Segarra. Jason Sekzer. Matthew Carmen Sellitto. Michael L. Selves. Howard Selwyn. Larry John Senko. Arturo Angelo Sereno. Frankie Serrano. Marian Serva. Alena Sesinova. Adele Sessa. Sita Nermalla Sewnarine. Karen Lynn Seymour-Dietrich. Davis (Deeg) Sezna. Thomas Joseph Sgroi. Jayesh Shah. Khalid M. Shahid. Mohammed Shajahan. Gary Shamay. Earl Richard Shanahan. Shiv Shankar. Cmdr. Dan Frederic Shanower. Neil G. Shastri. Kathryn Anne Shatzoff. Barbara A. Shaw. Jeffrey J. Shaw. Robert J. Shay. Daniel James Shea. Joseph Patrick Shea. Mary Kathleen Shearer. Robert Michael Shearer. Linda Sheehan. Hagay Shefi. Antoinette Sherman. John Anthony Sherry. Atsushi Shiratori. Thomas Shubert. Mark Shulman. See-Wong Shum. Allan Shwartzstein. Johanna Sigmund. Dianne T. Signer. Gregory Sikorsky. Stephen Gerard Siller. David Silver. Craig A. Silverstein. Nasima H. Simjee. Bruce Edward Simmons. Diane Simmons. Don Simmons. George Simmons. Arthur Simon. Kenneth Alan Simon. Michael John Simon. Paul Joseph Simon. Marianne Simone. Barry Simowitz. Jane Louise Simpkin. Jeff Simpson. Cheryle D. Sincock. Khamladai K. (Khami) Singh. Roshan R. (Sean) Singh. Thomas Sinton. Peter A. Siracuse. Muriel F. Siskopoulos. Joseph M. Sisolak. John P. Skala. Francis J. Skidmore. Toyena Corliss Skinner. Paul A. Skrzypek. Christopher Paul Slattery. Vincent R. Slavin. Robert Sliwak. Paul K. Sloan. Stanley S. Smagala. Wendy L. Small. Gregg Harold Smallwood. (Retired) Lt. Col. Gary F. Smith. Catherine T. Smith. Daniel Laurence Smith. George Eric Smith. Heather Lee Smith. James G. Smith. Jeffrey Randall Smith. Joyce Smith. Karl Trumbull Smith. Kevin Smith. Leon Smith. Moira Smith. Rosemary A. Smith. Sandra Fajardo Smith. Bonnie S. Smithwick. Rochelle Monique Snell. Christine Snyder. Dianne Snyder. Leonard J. Snyder. Astrid Elizabeth Sohan. Sushil Solanki. Ruben Solares. Naomi Leah Solomon. Daniel W. Song. Mari-Rae Sopper. Michael C. Sorresse. Fabian Soto. Timothy P. Soulas. Gregory T. Spagnoletti. Donald F. Spampinato. Thomas Sparacio. John Anthony Spataro. Robert W. Spear. Robert Speisman. Maynard S. Spence. George E. Spencer. Robert Andrew Spencer. Mary Rubina Sperando. Frank J. Spinelli. William E. Spitz. Joseph P. Spor. Klaus Johannes Sprockamp. Saranya Srinuan. Michael F. Stabile. Lawrence T. Stack. Capt. Timothy Stackpole. Richard James Stadelberger. Eric A. Stahlman. Gregory M. Stajk. Alexandru Liviu Stan. Corina Stan. Mary D. Stanley. Joyce Stanton. Patricia Stanton. Anthony M. Starita. Jeffrey Stark. Derek James Statkevicus. Patricia J. Statz. Craig William Staub. William V. Steckman. Eric Thomas Steen. William R. Steiner. Alexander Robbins Steinman. Edna L. Stephens. Andrew Stergiopoulos. Andrew Stern. Norma Lang Steuerle. Martha Jane Stevens. Michael James Stewart. Richard H. Stewart. Sanford M. Stoller. Douglas J. Stone. Lonny J. Stone. Jimmy Nevill Storey. Timothy Stout. Thomas S. Strada. James J. Straine. Edward W. Straub. George Strauch. Edward T. Strauss. Steven R. Strauss. Sgt. Maj. Larry Strickland. Steven F. Strobert. Walwyn W. Stuart. Benjamin Suarez. David S. Suarez. Ramon Suarez. Xavier Suarez. Yoichi Sugiyama. William Christopher Sugra. Daniel Suhr. David Marc Sullins. Lt. Christopher P. Sullivan. Patrick Sullivan. Thomas Sullivan. Hilario Soriano (Larry) Sumaya. James Joseph Suozzo. Colleen Supinski. Robert Sutcliffe. Selina Sutter. Claudia Suzette Sutton. John F. Swaine. Kristine M. Swearson. Brian D. Sweeney. Brian Edward Sweeney. Madeline Sweeney. Kenneth J. Swensen. Thomas F. Swift. Derek O. Sword. Kevin T. Szocik. Gina Sztejnberg. Norbert P. Szurkowski. Harry Taback. Joann Tabeek. Norma C. Taddei. Michael Taddonio. Keiichiro Takahashi. Keiji Takahashi. Phyllis Gail Talbot. Robert R. Talhami. John Talignani. Sean Patrick Tallon. Paul Talty. Maurita Tam. Rachel Tamares. Hector Tamayo. Michael Andrew Tamuccio. Kenichiro Tanaka. Rhondelle Cherie Tankard. Michael Anthony Tanner. Dennis Gerard Taormina. Kenneth Joseph Tarantino. Allan Tarasiewicz. Michael C. Tarrou. Ronald Tartaro. Darryl Taylor. Donnie Brooks Taylor. Hilda E. Taylor. Leonard Taylor. Lorisa Ceylon Taylor. Maj. Kip P. Taylor. Michael M. Taylor. Sandra C. Taylor. Sandra Teague. Karl W. Teepe. Paul A. Tegtmeier. Yeshavant Moreshwar Tembe. Anthony Tempesta. Dorothy Temple. Stanley L. Temple. David Tengelin. Brian J. Terrenzi. Lisa Marie Terry. Goumatie T. Thackurdeen. Harshad Sham Thatte. Michael Theodoridis. Thomas F. Theurkauf. Lesley Anne Thomas. Brian T. Thompson. Capt. William Harry Thompson. Clive Thompson. Glenn Thompson. Nigel Bruce Thompson. Perry Anthony Thompson. Vanavah Alexi Thompson. Eric Raymond Thorpe. Nichola A. Thorpe. Sgt. Tamara Thurman. Sal Tieri. John Patrick Tierney. Mary Ellen Tiesi. William R. Tieste. Kenneth F. Tietjen. Stephen Edward Tighe. Scott C. Timmes. Michael E. Tinley. Jennifer M. Tino. Robert Frank Tipaldi. John J. Tipping. David Tirado. Hector Luis Tirado. Michelle Titolo. Alicia Nicole Titus. John J. Tobin. Richard J. Todisco. Lt. Cmdr. Otis Vincent Tolbert. Vladimir Tomasevic. Stephen K. Tompsett. Thomas Tong. Azucena de la Torre. Doris Torres. Luis Eduardo Torres. Amy E. Toyen. Christopher M. Traina. Daniel Patrick Trant. Abdoul Karim Traore. Glenn J. Travers. Walter (Wally) P. Travers. Felicia Traylor-Bass. James Trentini. Mary Trentini. Lisa L. Trerotola. Karamo Trerra. Michael Trinidad. Francis Joseph Trombino. Gregory J. Trost. Willie Q. Troy. William Tselepis. Zhanetta Tsoy. Michael Patrick Tucker. Lance Richard Tumulty. Ching Ping Tung. Simon James Turner. Donald Joseph Tuzio. Robert T. Twomey. Jennifer Tzemis. John G. Ueltzhoeffer. Tyler V. Ugolyn. Michael A. Uliano. Jonathan J. Uman. Anil Shivhari Umarkar. Allen V. Upton. Diane Maria Urban. John Damien Vaccacio. Bradley H. Vadas. William Valcarcel. Antonio Jesus Montoya Valdes. Mayra Valdes-Rodriguez. Felix Antonio Vale. Ivan Vale. Benito Valentin. Santos Valentin. Manuel Del Valle. Carlton Francis Valvo. Pendyala Vamsikrishna. Edward Raymond Vanacore. Jon C. Vandevander. Frederick T. Varacchi. Gopalakrishnan Varadhan. David Vargas. Scott C. Vasel. Azael Ismael Vasquez. Santos Vasquez. Lt. Cmdr. Ronald James Vauk. Arcangel Vazquez. Peter Anthony Vega. Sankara S. Velamuri. Jorge Velazquez. Lawrence Veling. Anthony M. Ventura. David Vera. Loretta A Vero. Christopher Vialonga. Matthew Gilbert Vianna. Robert A. Vicario. Celeste Torres Victoria. Joanna Vidal. John T. Vigiano. Joseph Vincent Vigiano. Frank J. Vignola. Joseph B. Vilardo. Sergio Villanueva. Chantal Vincelli. Melissa Vincent. Francine A. Virgilio. Lawrence Virgilio. Joseph G. Visciano. Joshua S. Vitale. Maria Percoco Vola. Lynette D. Vosges. Garo H. Voskerijian. Alfred Vukosa. Gregory Wachtler. Lt. Col. Karen Wagner. Mary Wahlstrom. Honor Elizabeth Wainio. Gabriela Waisman. Wendy Alice Rosario Wakeford. Courtney Wainsworth Walcott. Victor Wald. Kenneth Waldie. Benjamin Walker. Glen J. Wall. Lt. Robert F. Wallace. Mitchel Scott Wallace. Peter G. Wallace. Roy Michael Wallace. Jean Marie Wallendorf. Matthew Blake Wallens. Meta L. Waller. John Wallice. Barbara P. Walsh. James Walsh. Jeffrey Patrick Walz. Ching H. Wang. Weibin Wang. Lt. Michael Warchola. Stephen Gordon Ward. Timothy Ward. James A. Waring. Brian G. Warner. Derrick Washington. Capt. Patrick J. Waters. Charles Waters. James Thomas (Muddy) Waters. Kenneth Watson. Michael H. Waye. Todd C. Weaver. Walter E. Weaver. Nathaniel Webb. Dinah Webster. William M. Weems. Joanne Flora Weil. Michael Weinberg. Steven Weinberg. Scott Jeffrey Weingard. Steven Weinstein. Simon Weiser. David M. Weiss. David T. Weiss. Vincent Michael Wells. Deborah Welsh. Timothy Matthew Welty. Christian Hans Rudolf Wemmers. Ssu-Hui (Vanessa) Wen. John Wenckus. Oleh D. Wengerchuk. Peter M. West. Whitfield West. Meredith Lynn Whalen. Eugene Whelan. Adam S. White. Edward James White. James Patrick White. John S. White. Kenneth W. White. Leonard Anthony White. Malissa White. Olga Kristin Gould White. Sandra L. White. Staff Sgt. Maudlyn A. White. Wayne White. Leanne Marie Whiteside. Mark Whitford. Leslie A. Whittington. Michael T. Wholey. Mary Lenz Wieman. Jeffrey David Wiener. William J. Wik. Alison Marie Wildman. Lt. Glenn Wilkinson. Ernest M. Willcher. John C. Willett. Brian Patrick Williams. Candace Lee Williams. Crossley Williams. David Williams. Deborah Lynn Williams. Kevin Michael Williams. Louie Anthony Williams. Louis Calvin Williams. Lt. Cmdr. David Lucian Williams. Maj. Dwayne Williams. Lt. John Williamson. Cynthia Wilson. Donna Wilson. William E. Wilson. David H. Winton. Glenn J. Winuk. Thomas Francis Wise. Alan L. Wisniewski. Frank T. Wisniewski. David Wiswall. Sigrid Charlotte Wiswe. Michael R. Wittenstein. Christopher W. Wodenshek. Martin P. Wohlforth. Katherine S. Wolf. Jennifer Y. Wong. Jenny Seu Kueng Low Wong. Siu Cheung Wong. Yin Ping (Steven) Wong. Yuk Ping Wong. Brent James Woodall. James J. Woods. Marvin R. Woods. Patrick Woods. Richard Herron Woodwell. Capt. David Terence Wooley. John Bentley Works. Martin Michael Wortley. Rodney James Wotton. William Wren. John Wright. Neil R. Wright. Sandra Wright. Jupiter Yambem. John D. Yamnicky. Suresh Yanamadala. Vicki Yancey. Shuyin Yang. Matthew David Yarnell. Myrna Yaskulka. Shakila Yasmin. Olabisi L. Yee. Kevin Wayne Yokum. Edward P. York. Kevin Patrick York. Raymond York. Suzanne Youmans. Barrington L. Young. Donald McArthur Young. Edmond Young. Jacqueline (Jakki) Young. Lisa L. Young. Elkin Yuen. My name is Jo Ann Biviano. I am from Moorestown, New Jersey, and am a singer/songwriter/pianist. I have an inspirational song that I wrote about 9/11, entitled "I'll Always Remember". It is a song of hope and reflection. My hope is to have this heard all around the world and that people will "connect" with it and remember the day when we were bound in such a unique way. I would be honored if you would give this song "I'll Always Remember" the opportunity to be heard on your website. I believe it would be soothing and relevant to those listening. I can also send it to you in mp3 form. I will soon be recording it in spanish, and would be more than happy to send it to you.